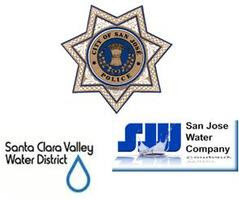 The San Jose Police Department, in conjunction with the Santa Clara Valley Water District and San Jose Water Company will be giving a presentation on the security of our region’s water system, and how any natural, or man-made act (such as Terrorism) would effect our water supply system. How will this impact all of us? More importantly is what our Business Community can expect if such a regional event were to occur. This is vitally important for any Business Continuity Plan. Will there be water? How it will effect the operation of your business? How long can you realistically plan to be out of water if this were to occur? This presentation will be held on Friday June 22nd, 2012 from 10:30 AM to 12:00 PM at the City of San Jose - City Hall Council Chambers, 200 East Santa Clara Street, San Jose.